As Canada’s largest school board, we are always looking for ways to improve our system so that all students, staff, parents/guardians and members of the community feel connected, involved and supported. That’s why we’ve introduced a new strategy to improve the effectiveness of our schools, make us more responsive to the needs of our communities, and increase student achievement and well-being. 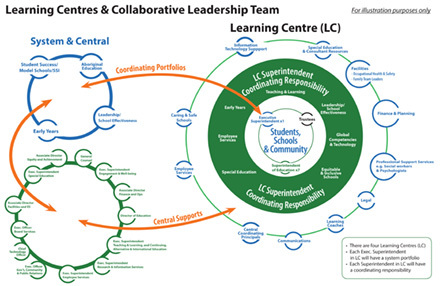 The creation of four new learning centres is one of the key elements of this new strategy. 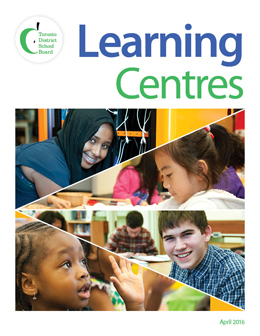 As of September 2016, all TDSB schools feed into one of four learning centres. Learning centres are hubs where staff collaborate and share resources. Learning centres will be closely connected to the schools they support and will be able to better serve the needs of school staff, students and parents/guardians. 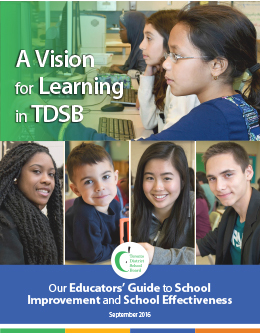 "Our vision is that despite the size of Canada’s largest school system, the TDSB can act and feel local when our schools are well-supported and highly responsive and our parents and communities are more connected." "While the Board will continue to be guided by a strong central governance structure and central administration support, Learning Centres will offer a more responsive, flexible and localized support to schools that will have a direct impact on classroom instruction and student achievement."